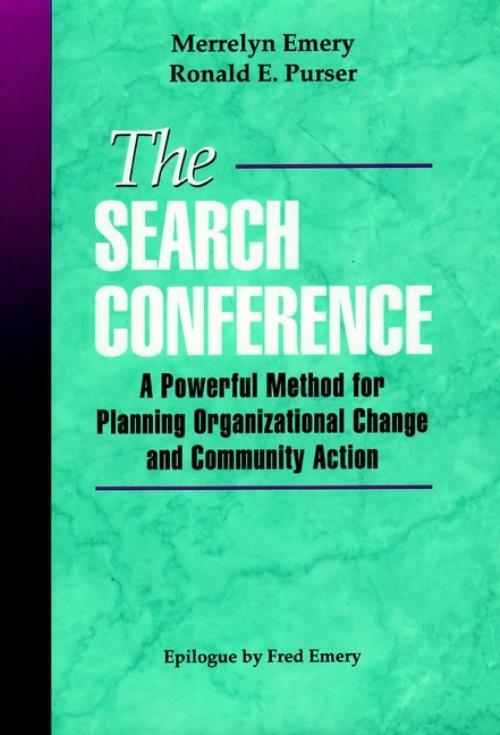 Planning pioneers Merrelyn Emery and Ronald Purser use a wealth of illustrative examples from the nonprofit, business, and public sector to define and illustrate the importance of The Search Conference as a versatile management tool. They offer a simple framework for understanding the process and clear step–by–step instructions to guide novice and seasoned facilitators in conducting their own Search Conferences. To demonstrate the potential scope of their method, they outline a myriad of concrete applications, including: institutional policy making; corporate strategic planning; organizational development and renewal efforts; mergers of companies and hospitals; community–based planning and development; planning the future of cities, regions, industries, and professional associations; managing conflict between diverse interest groups; creating strategic alliances between organizations and networks; and developing long–term partnerships with customers, suppliers or government regulators. The Search Conference is a comprehensive introduction to a powerful approach for planning organizational change and community action. THE POWER OF SEARCH CONFERENCES. 1. Learning and Planning Our Way to a Desirable Future. 2. Uses and Advantages of Search Conference Methods. 3. Planning in Stable and Turbulent Environments. 4. Open Systems Thinking and the Power of Human Ideals. 5. The Strength of Democratic Learning. 6. Conditions for Creative Collaboration. STRATEGIES FOR EFFECTIVE SEARCH CONFERENCES. 8. Designing the Search Conference for Effectiveness. 9. Managing the Search Conference. 10. The Search Conference Step by Step.